Attach a transmitter to any of our cameras to make it wireless. 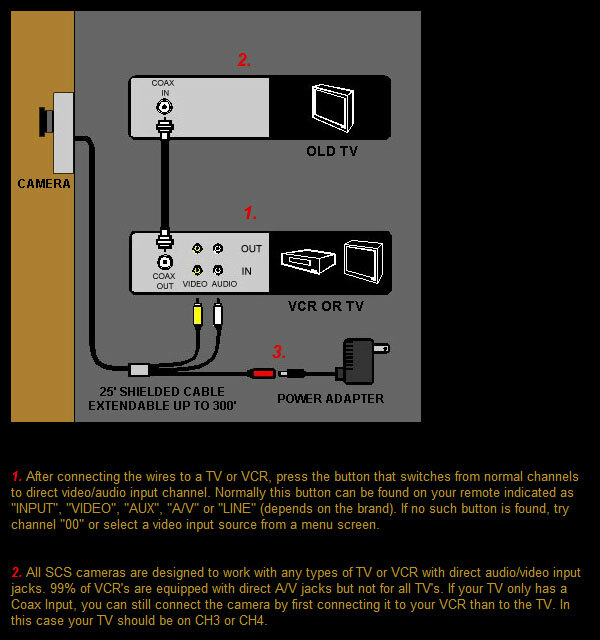 Included receiver comes with standard RCA A/V outputs where you can connect to any TV, VCR or a DVR. Note: 2.4GHz frequency can be interfered by other wireless devices such as a wireless router or cordless phones. We do offer 5.8 GHz TX/RX that will minimize interference. Due to FCC rules, any other bands are not allowed for the consumers. All digital wireless transmitters and receivers are free from all interferences. - Interference free from wireless routers & 2.4GHz wireless systems.